Old school buildings make fantastic homes, often with bright spacious rooms and striking original features, but Shian Schoolhouse near Amulree, for sale through CKD Galbraith, has an extra touch of magic. Located in the beautiful Glen Quaich near to Loch Freuchie this delightful building is now a three bedroom home with truly unique charm. Notwithstanding its charming interior, the schoolhouse's idyllic location and fine views are, without a doubt, the principal selling point of this property. Loch Freuchie, with a small shingle beach, offers excellent views for bird watching and contains The Crannog Island, with its own magical dragon legend; whilst the top of Glen Quaich, known as the roof of the world', holds claim to some of the finest views in Scotland. The whole glen is a haven for wildlife. Inside, Shian Schoolhouse has exceptional reception space which is ideal for entertaining and family living. The main reception room has ample character with timber floors, partially timber panelled walls, three tall astragal south facing windows and a wood burning stove. Moving through to the dining kitchen it has a good range of units in a country style which compliments the natural surroundings. There is a ground floor bedroom which enjoys a double aspect and has working shutters, as does the reception room and kitchen. 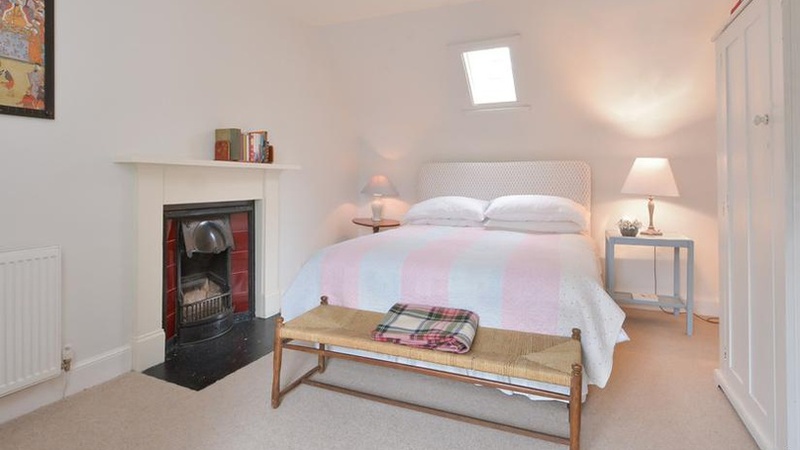 The first floor comprises two good sized bedrooms, one with a charming period fireplace and the other with a generous cupboard and en-suite shower room. There is also a family bathroom with white fittings and painted timber flooring. To the west of the house there is a generous garage which is currently used as both a games room and workshop. Other adjoining outbuildings include log stores and kennels. "Former school buildings often have a rather welcoming atmosphere but Shian Schoolhouse also offers some truly Highland magic. The views from every single room of the property are outstanding. The glen and tranquil surroundings make any resident of Shian feel as though they could be a part of a fairy-tale. Indeed, even the name Shian itself derives from the Gaelic word for fairy, and the feeling of peace and tranquility is almost palpable." "The popular towns of Aberfeldy, Dunkeld and Crieff are all within easy striking distance, all boasting a selection of restaurants, coffee shops, supermarkets, and primary and secondary schooling. Aberfeldy is also home to The Birks Cinema with a popular caf and restaurant." "The area is a haven of outdoor activities such as walking, cycling, golf, canoeing, shooting, fishing and a range of other water sports: Loch Tay lies just over the hills. Edinburgh is within an easy weekending distance and trains to Edinburgh and further afield, including a sleeper service to and from London, are available from the mainline train station at Dunkeld, approximately 15 miles from Shian Schoolhouse. Perth is also well within an hour's drive of the property and is the nearest city." "Shian would make the perfect family house or holiday home in Scotland. Its unique charm and peaceful setting are likely to cast their spell over many potential buyers so early viewings and notes of interest are advised." Shian Schoolhouse is available with a guide price of 275, 000. For further information please contact CKD Galbraith's Perth office on 01738 451111.